One restaurant group switching from one tech provider to another doesn't exactly headline news make, but it does help us all understand a restaurant's priorities and what it wants from said tech vendors. In the race to be the most applicable restaurant technology service — reservations and beyond — flexibility is core to mass adoption of a product designed with a broad spectrum of businesses in mind. At New York’s Union Square Hospitality Group, Resy is winning that race, at least in when it comes to reservations. The restaurant group has announced plans to transition to Resy at all of its restaurants, tentatively by early 2019. Choosing to standardize systems across restaurants within a group is a practical choice. “Resy’s platform gives us a universal view of availability across our family of restaurants, so that we can assess options more quickly, and see all our information and guest profiles in one place,” said Maureen Cushing, vice president of technology and process at Union Square Hospitality Group. Resy vice president of product Matthew Zito credits the flexibility of the company’s latest product offering, Resy Fly, with helping to facilitate the change. Resy introduced Fly in May, gradually scaling up the number of restaurants that use it. The new system uses built-up data, learning as it goes, to suggest to reservationists how to book customers based on factors ranging from the weather that day to that customer’s previous dining habits. 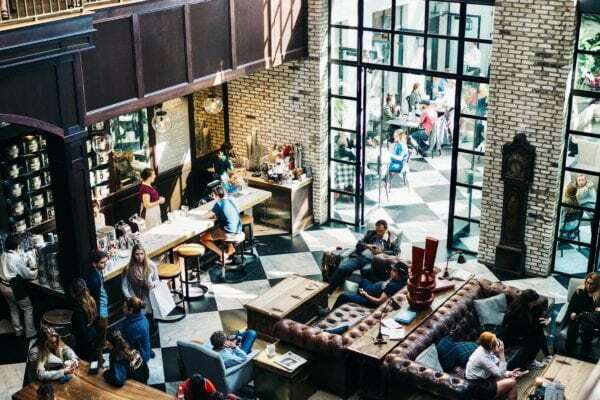 “You build your one system that tracks all of their diner preferences, diner behavior, venue sale data, and that gives each individual restaurant the ability to customize exactly how they want their reservation book to behave. I think it’s really powerful, and it’s especially important when you think about the needs of the restaurant group relative to a single venue operator,” said Zito. Like other modern reservations and point of sale systems, Resy is cloud-based, and runs on multiple platforms including the iPhone and iPad. Reservations platforms are also more than just table and guest management systems; they can actually aid hospitality. “Resy’s Apple Watch program allows our sommeliers to receive alerts for a wine order wherever they are in the restaurant. So, if they receive an alert while they are already in the cellar pulling another bottle, it cuts down on guests’ wait time and saves their colleague a trip up and down the stairs during service,” said Whitney Sanchez, Union Square Hospitality director of guest relations. Choosing a tech provider for a restaurant is largely a game of preferences. In the game of reservations, all of the top players offer variations on these core functions, and a high-profile restaurant or group making a tech decision isn’t an earth-shaking move. But as these companies build and hone their offering, it does spotlight what restaurants find most important.